All photographs are copyrighted and all rights reserved. This little girl smiled at me in a village located nearby Lucknow. She could be a Hindu or a Muslim, she could also be the daughter or the sister of anyone who died or who was injured in Mumbai this evening. Once again the same innocents suffer and once again the same butchers try to scare and spread terror in this city like in any other city in the world. Those cowards who do those kind of things are away from God. The people of Mumbai are amazing, they react with courage, dignity and don’t allow terror to overpower the city…they are the winners. This is the reason why I selected the picture of an innocent child smiling in order to support my friends there. “You don’t stop laughing because you grow older. This happy little girl lives in a village nearby Lucknow, the capital of the Indian state of Uttar Pradesh where ladies are making Chikan embroidery. In this peaceful place Muslim and Hindu families share a spirit of unity and a true sense of harmony. I could feel a real happiness everywhere, each face was offering me a smile, all those gifts are everlasting memories. This village was full of laughter. 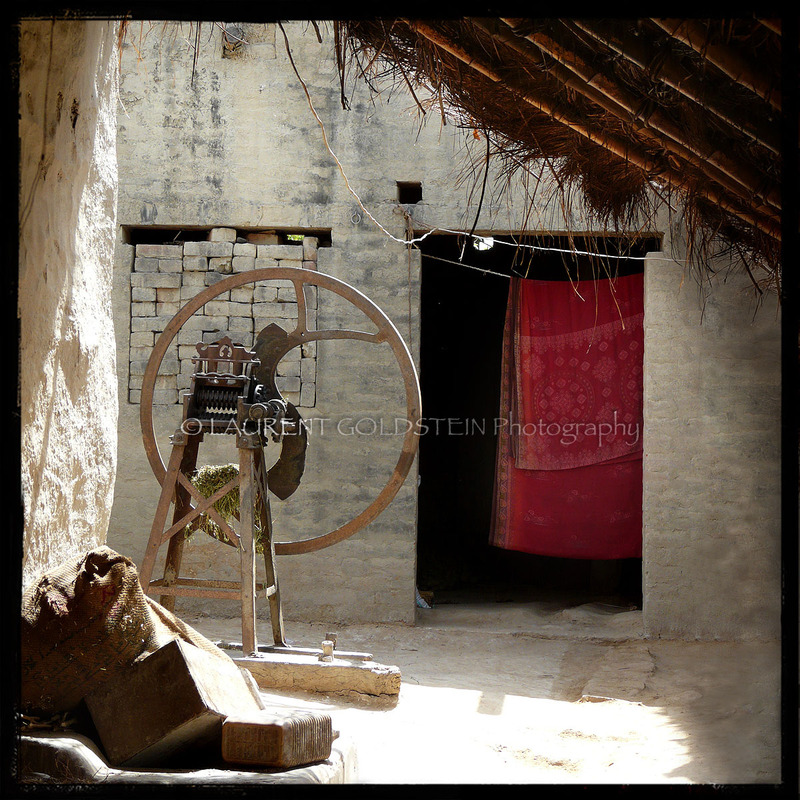 This is the back yard of a house in a little village neaby Lucknow, the capital of the Indian state of Uttar Pradesh where I went recently in order to take some pictures of ladies making Chikan embroideries. I was happy to see that in this peaceful and simple place Muslim and Hindu families are living with a true sense of harmony and unity. Those ladies were working on traditional Chikan embroidery in their little village nearby Lucknow, the capital of the Indian state of Uttar Pradesh. They were expecting me and they were wearing their nicest sarees with a few jewels and some heavy make-up. When I came inside the house one protected her face with a part of cloth in order to cover her shyness while the other was openly showing her beauty. When I came to this village I thought that I would only take pictures of this amazing artcraft and I didn’t know then that I’ll make many portraits of the ladies and children living there. “Concentrate all your thoughts upon the work at hand. 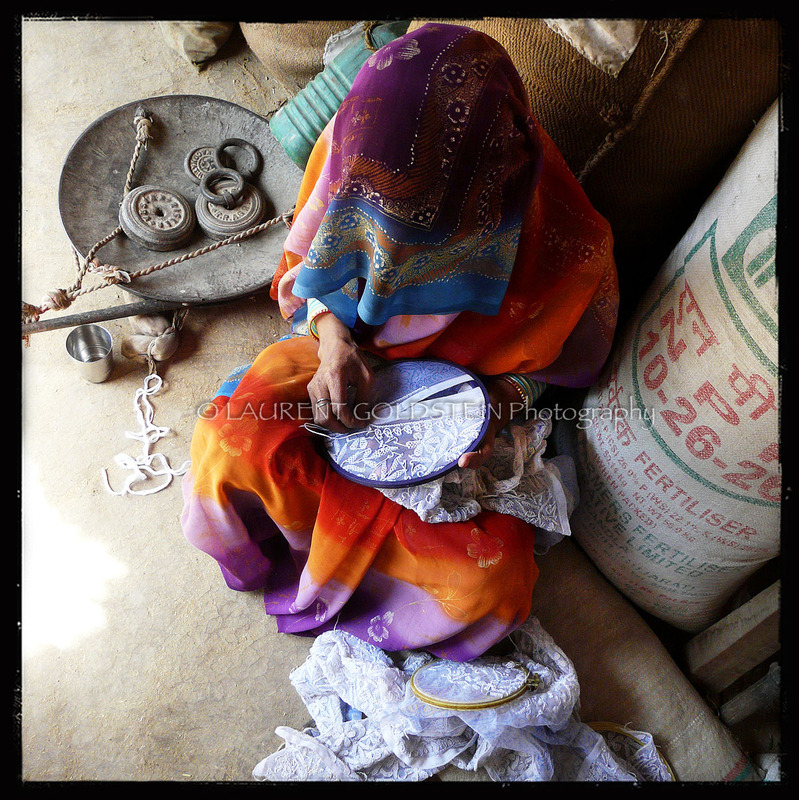 This lady lives in a little village nearby Lucknow, the capital of the Indian state of Uttar Pradesh, where she is making traditional Chikan embroidery. Chikan embroidery works are displayed in many distinguish styles on different attires. All photographs are copyrighted and all rights reserved. Please do not use any photographs without permission (even for private use). The use of any work without consent of the artist is PROHIBITED and will lead automatically to consequences. “The way you overcome shyness is to become so wrapped up in something that you forget to be afraid”. (Claudia Lady Bird Johnson – First Lady of the United States, wife of Lyndon B. Johnson), 1912-2007) This lady is working on a traditional Chikan embroidery. She knew that I was coming in order to take a few pictures in her little village which is nearby Lucknow, the capital of the Indian state of Uttar Pradesh, so she decided to wear her nicest sari and some heavy make-up. However when I came inside her house she was very shy and she covered her face with a part of the sari. I could still guess her features through the printed silk. Her attitude was touching, I only saw her face later when she wanted to see how came the pictures on the screen of my camera. “The longer I live, the more I realize the impact of attitude on life. Attitude, to me, is more important than facts. It is more important than the past, the education, the money, than circumstances, than failure, than successes, than what other people think or say or do. It is more important than appearance, giftedness or skill. It will make or break a company… a church… a home. The remarkable thing is we have a choice everyday regarding the attitude we will embrace for that day. We cannot change our past… we cannot change the fact that people will act in a certain way. The only thing we can do is play on the one string we have, and that is our attitude. I am convinced that life is 10% what happens to me and 90% of how I react to it. 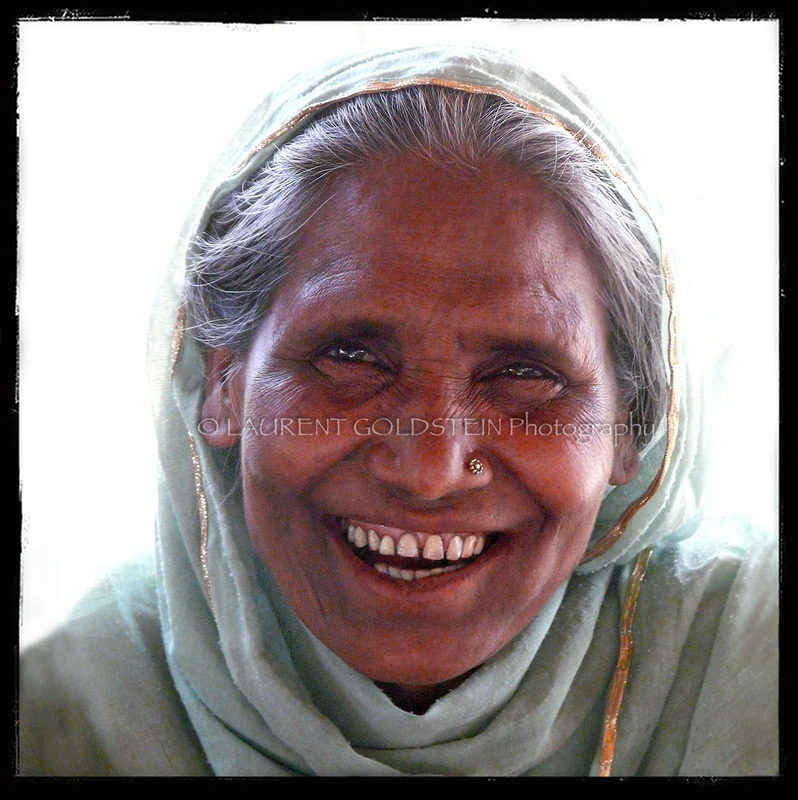 I met this lady in her little village located nearby Lucknow, the capital of the Indian state of Uttar Pradesh. It is a place where Muslim and Hindu families are living together in harmony. Everywhere I could feel a real spirit of happiness coming from the impact of attitude on life decided once by the elders of this amazing place. This beautiful lady ensures the perspective that aging can be a simple and wonderful thing.